Does the Bath or Shower Use More Water? High water use raises utility costs for the water itself and energy required to heat the water. Upgrading to a more water-efficient dishwasher can save thousands of gallons of water and hundreds of dollars over the life of the appliance. Water usage varies depending on the manufacturer and model but there are some useful benchmarks for homeowners to consider. Water used per load can vary widely. 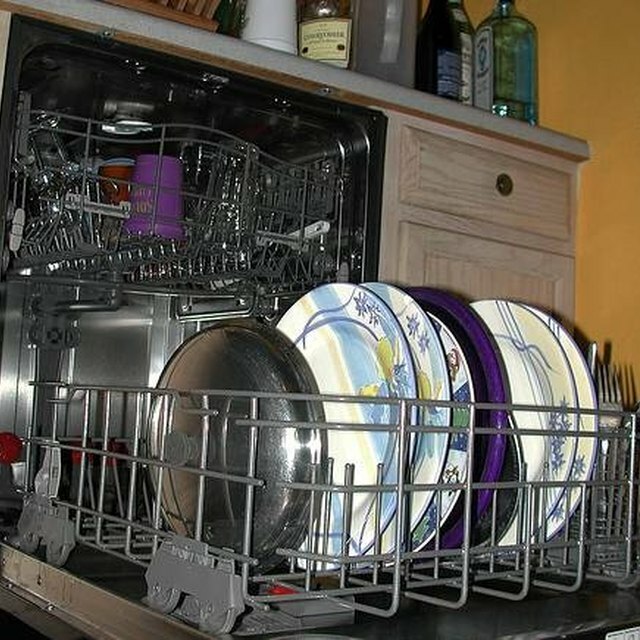 The average dishwasher uses about 15 gallons of water per load. Various models range from 75 to 16 gallons per load. For comparison, a washing machine may use as much as 50 gallons per load of laundry washed. Any toilet manufactured since 1995 uses 16 gallons of water per flush while some older toilets used as much as 5 gallons per flush. Improved efficiency dishwashers should use 75 gallons of water or less per load. Reaching this level of efficiency commonly requires replacing the existing dishwasher as there are no feasible modifications to existing machines to improve efficiency. Use water saver cycles, if possible, to reduce the amount of water used. Most importantly, only operate the dishwasher when full to capacity. This reduces the total amount of water used by reducing the number of times the dishwasher is operated. Depending on the methods, hand-washing may be more efficient than running the dishwasher. Filling a sink with wash water commonly uses less than 75 gallons of water. If the dishes aren't rinsed under running water this can be a savings in the amount of water used. A running faucet can use up to 5 gallons of water per minute, although low-flow faucets reduce the water use to about 15 gallons per minute.